Probably Boston or Salem, Massachusetts, ca. 1795-1810. Mahogany, crotch flame-birch veneer, rosewood banding, pine, secondary. Condition: Vestiges of earlier varnish finishes, excellent condition. 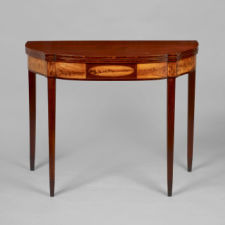 The cardtable, having a bow-front with elliptical sides supported by tapered legs, maybe considered a transitional piece sharing both late 18th and early 19th c. attributes. The piece is adorned by crotch flame birch veneer with the central oval panel surrounded by mahogany veneer. The faces of the top and bottom rail are further embellished with rosewood banding. The inside horizontal screw gains on the front rail are Seymour features seen on other card tables which suggests a Boston origin. 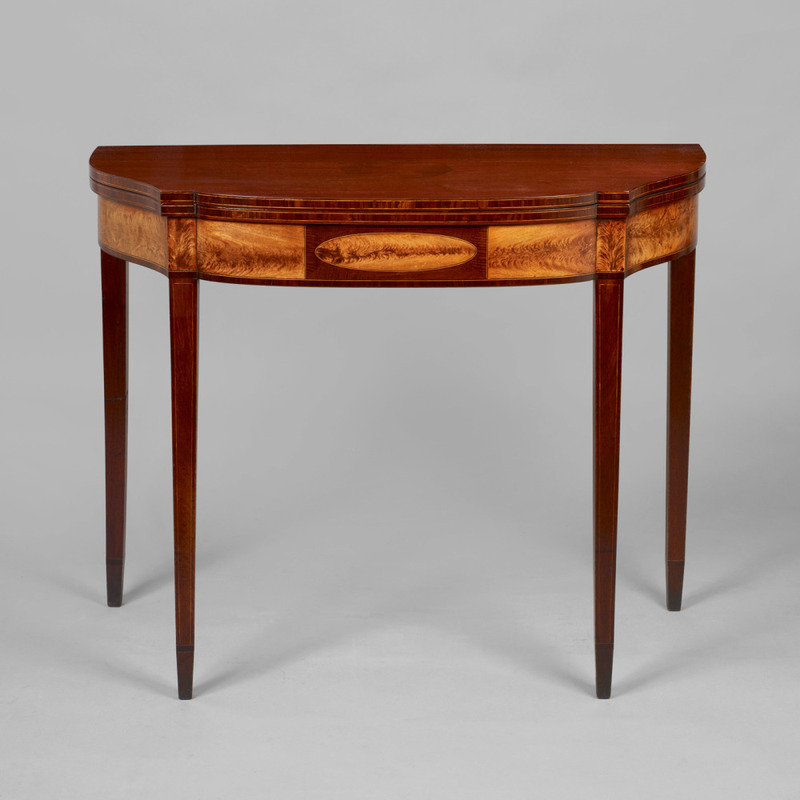 The table is supported by tapered legs terminating into the cuffs with tapered feet.